Inno Foam Set with detergent injector 21120000 https://www.kaercher.com/ae/accessory/inno-foam-set-with-detergent-injector-21120000.html High-pressure foam system with double lance (foam nozzle and high-pressure jet for rinsing). For use with mobile and stationary high-pressure and HDS pressure cleaners for cleaning or disinfection. 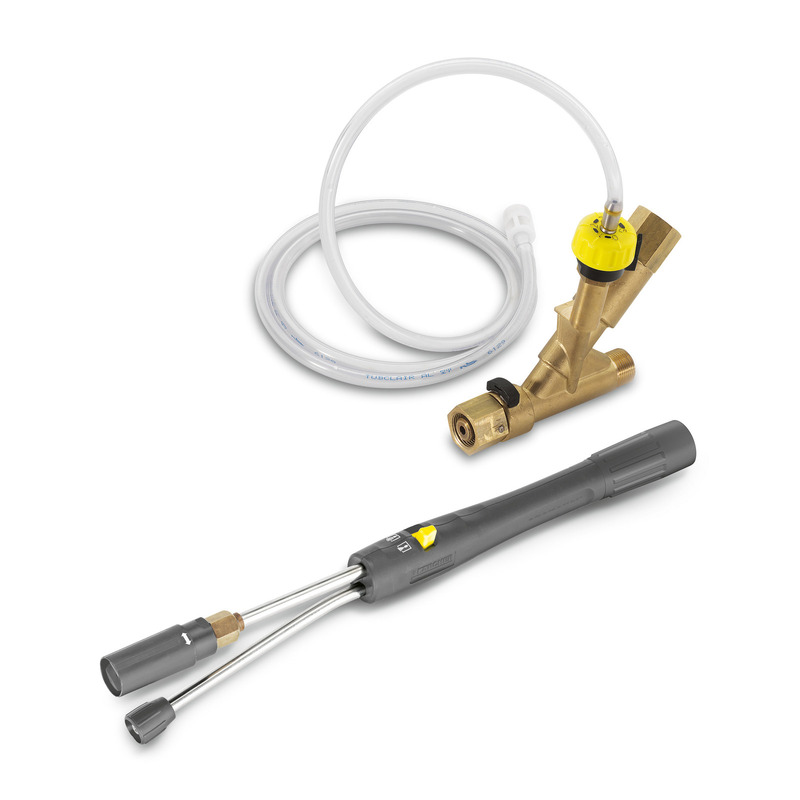 Inno foam kit with detergent injector - the innovative high-pressure foam system for use with mobile and stationary HD and HDS pressure cleaners for cleaning or disinfection. Double lance with foam nozzle and high-pressure jet for rinsing. The high-pressure detergent injector features a precise dosing valve (0-5%). Nozzle kits must be ordered separately.